M R Ravikumar Commissioner Belgaum city corporation has been Transfered. He had made sincere efforts in clearing encroachments and also the Basements. He has now been trasnfered as Task Manager of Karnataka Urban Infrastructure Development and finance corporation. Prakash Nitali would probably be made the new corporation commissioner. 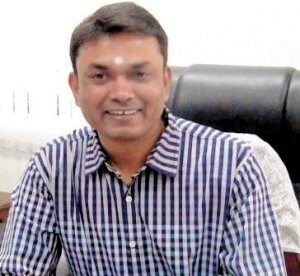 Ravikumar had assumed the charge ion November 2013. In mere ten months he has been transferred and there is a talk that it is because of political interference. It seems the uncompromising attitude of the officer on removal of encroachments and basements have irked the building owners. Can we know on which buildings he had acted on?